A very old and very sick lady burst into tears when she saw her son again after four years. This was her sole remaining wish, ever since she had been sick and bedridden for a year. (Her most ardent wish had finally come true). Now that she could hold the last of her nine children in her arms, she could calmly and happily say goodbye to this world. But she did not give up. She continued to fight her illness and her severe backaches. She wanted to enjoy the ten days that her son could stay in Hong Kong and she wanted to see him and her other children every day and talk to them. She was a remarkable, strong mother, who had used all her energy for the good of her children. As a farmer, she had carried 100kg of vegetables with bamboo sticks on her shoulders, for 5 km to the market every day. With her hard-earned money, she could feed and bring up her children. Later she also willingly gave her savings if one of her children married or needed money. From her hospital bed, marked by a life full of privations and hard work, she told her son who had just arrived from Switzerland, ‘I am sorry that I cannot cook for you this time’. She said this even though she knew that her son was already a well-known Master Chef abroad. ‘This time I will cook for you’, answered her son who then prepared her favourite dish, –Cheese-Lobster, the dish she had long dreamed of during her serious illness. 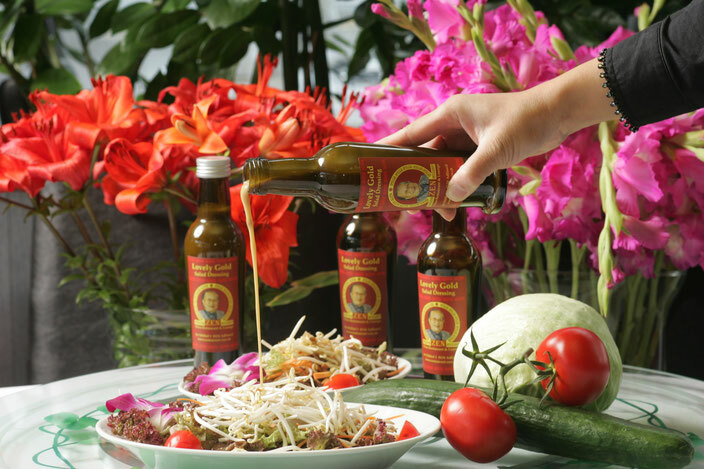 She was so happy and contented and she was a Gourmet as well. She said that she had never eaten such a delicious lobster dish in her whole life. A day later, just after he had returned to Switzerland, her son received the news that his mother had passed away with a smile on her face. She was sure that all her children had made their way in the world and that was worth all the trouble, deprivation and pain of her long and difficult life. 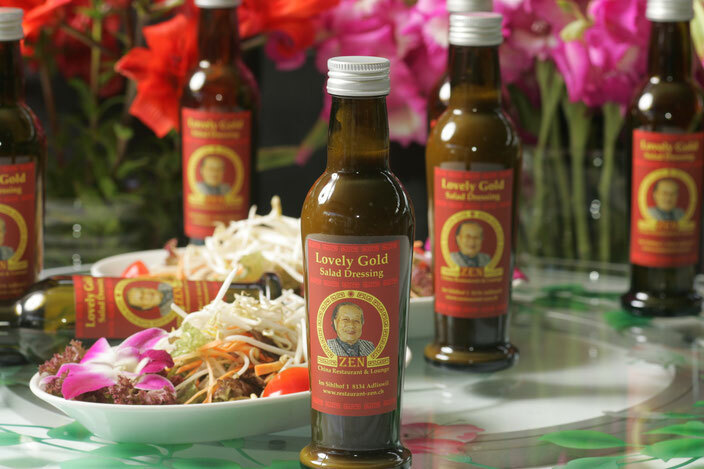 In memory of his wonderful mother, Master Chef Kin Chuen Li has named his specially created salad sauce after her - Ai Jing; which means ‘LOVELY GOLD.